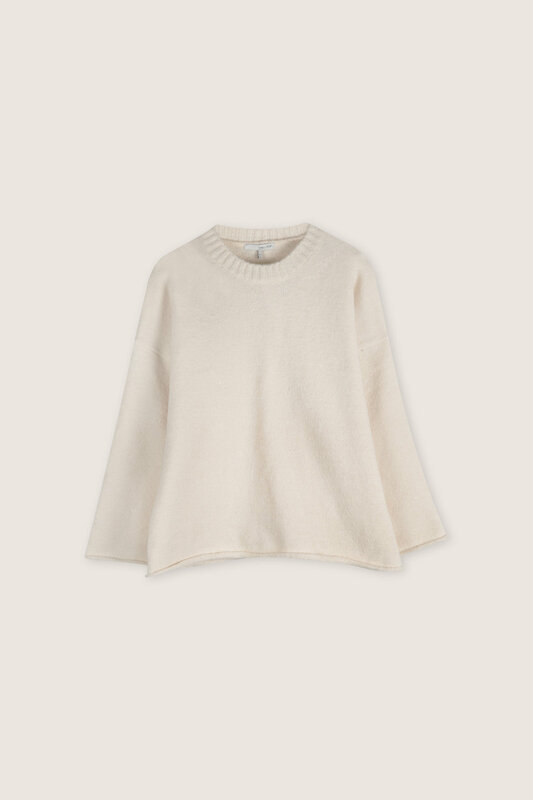 One of our coziest knits, this wool-blend sweater is cut for a relaxed fit that is nicely complemented with a shorter hem and wide sleeves. 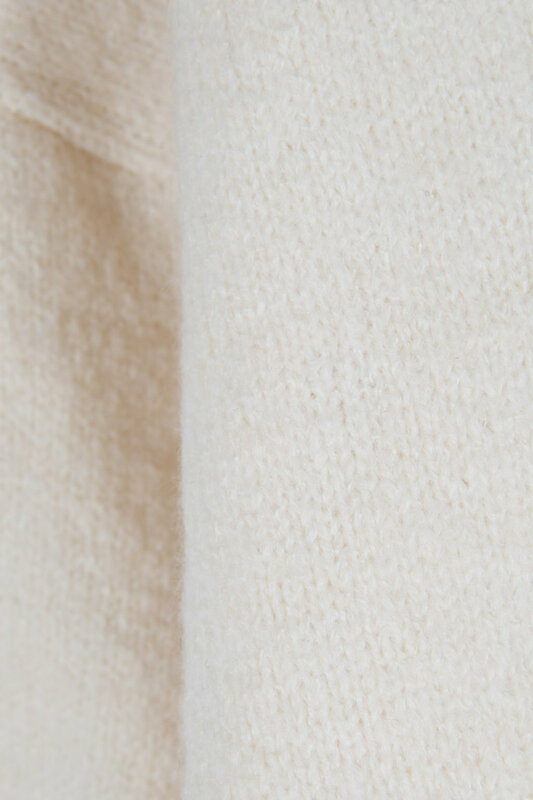 Featuring ribbed detailing and raw edges, this sweater is a cold weather must-have. 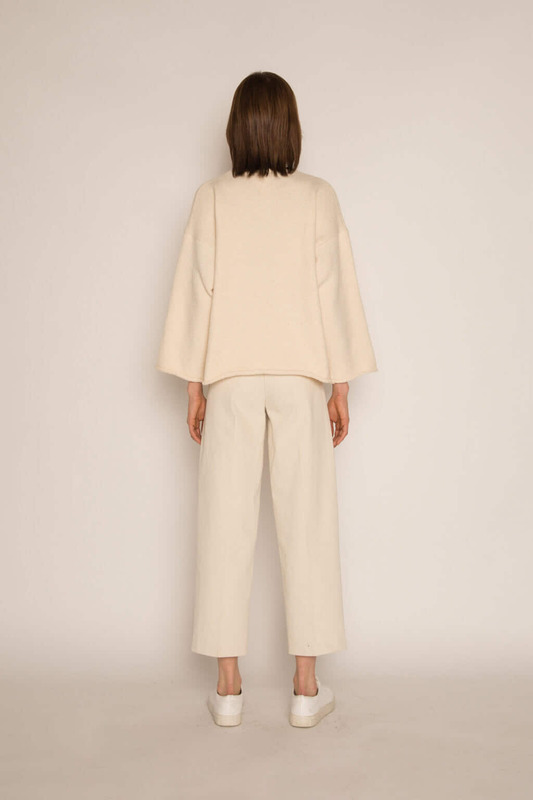 Try layering this on top of a collared blouse and pair with culottes for a chic office look.